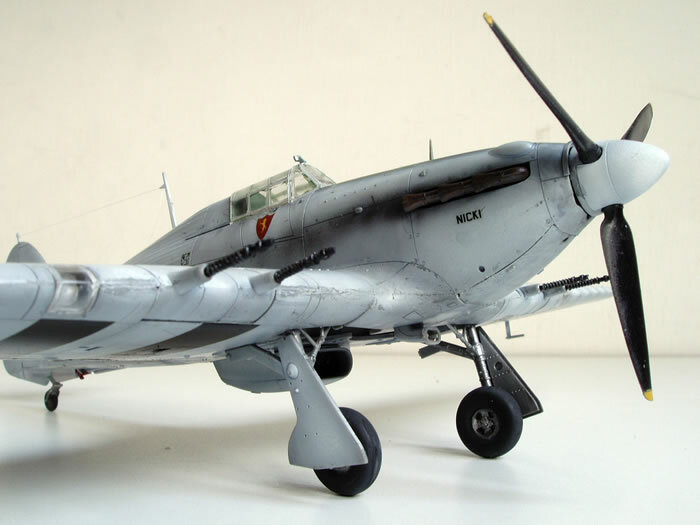 Some models are screaming to be build thanks to their resemblance to the real aircraft when the build is completed and attractiveness of specific colour schemes. 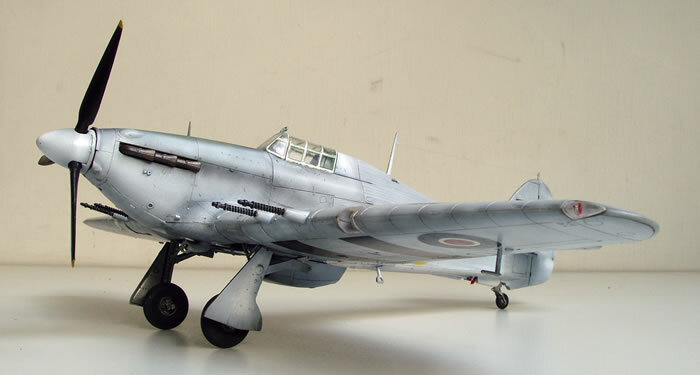 Such is Hasegawa's Sea Hurricane, that I received recently from a friend as it is long out of production. Several shortfalls mark Hasegawa's Hurricane series. The most notable is the wing-fuselage joint at the bottom that interrupts the fine fabric contours. This is further exacerbated in the Sea Hurricane edition as a replacement resin part is included to represent the arresting hook. My solution is to treat the lower part of the fuselage as one unit. Hence, I cut the fabric section from the lower wing part, attach to the lower fuselage and make my best to blend the two fabric looking sections before the attachment to the wing. 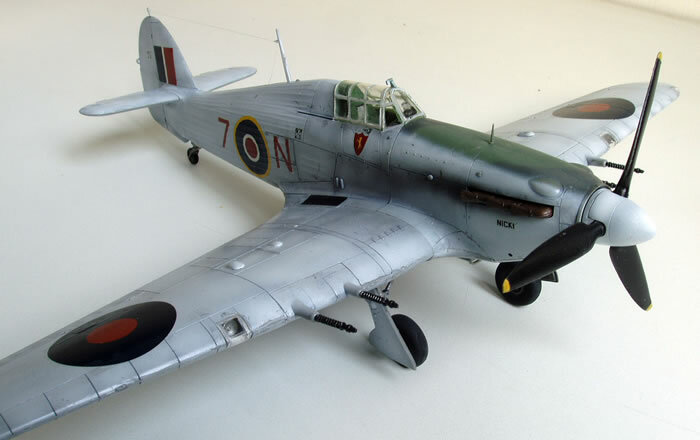 Other shortfalls include bad fit of parts in other areas around the wing-fuselage joints. 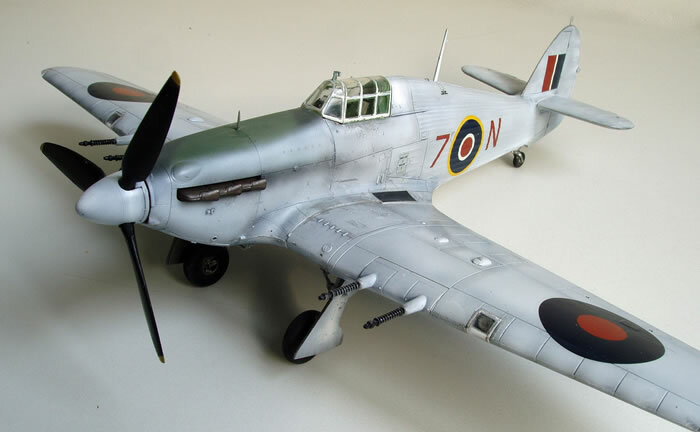 In addition, the white overall finish is seemly easy to apply, but real Sea Hurricane like all other white finished aircraft, had severe weathering effects in no time. 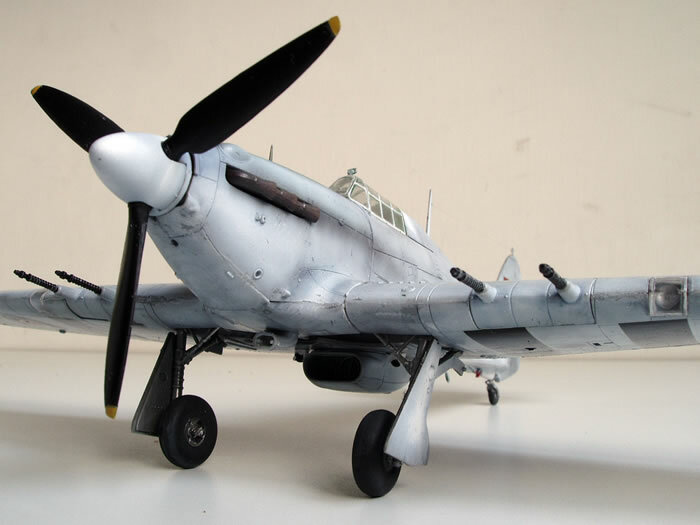 Yet, excessive weathering does not treat the final look of the model. 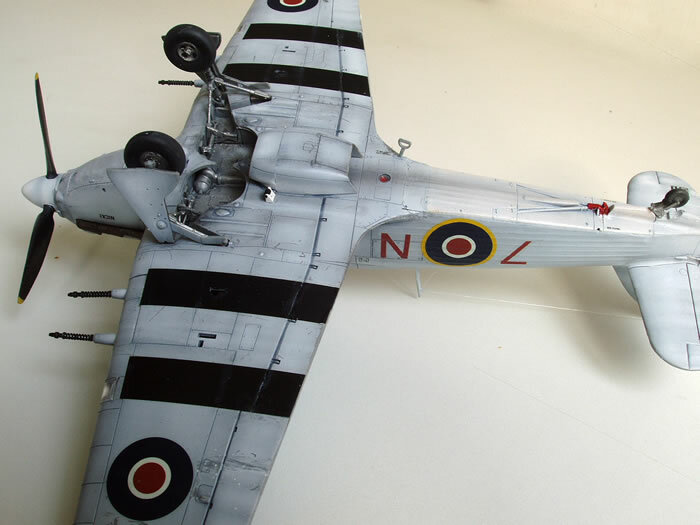 The canopy area is the most problematic issue with the white paint since a proper white finish simply makes the canopy stand out in relation to the rest of the model. The easiest solution is to have a vacuformed canopy that slides back on top of the fuselage spine. Without it, I was forced to paint the closed canopy also from the inside and separated the windscreen from the main canopy frame to give a better 3D impression.